I'm excited to be participating in FIERY HOT READS FOR ICY COLD NIGHTS! This event is hosted by Kimba the Caffeinated Book Reviewer, Love of Books,Mostly Reviews, Rainy Day Ramblings, and Cambira Hebert. For my post, I'm featuring one of my favorite western romance authors, Linda Lael Miller, and one lucky reader will receive a Kindle copy of her story Resurrection. There's a reason why Linda Lael Miller is known as the "First Lady of the West"...whether it's historical or contemporary, LLM writes western romance like no other. The author of over 100 novels, her body of work is astounding. Today I've picked a few of my favorites to share with you. I'll start with my favorite, Willow. This is one of the first westerns I ever read and it has stayed with me ever since. Read my review here. In 1883, the railroad had only recently come to Montana Territory, and outlaws still lurked in the hills. Willow Gallagher, who spent her early childhood in an outlaw camp until her father finally found her, is torn by divided loyalties. Newly married to handsome railroad baron Gideon Marshall, she finds fiery passion in Gideon’s embrace, until she discovers he is on a mission . . . a mission to capture Willow’s outlaw brother, Steven. Now Willow must choose—betray her brother, or risk the love she has found with Gideon, the love she has dreamed of all her life, to save Steven. It is a choice that could break her heart. . . . I haven't read Banner O'Brien yet, but it's patiently waiting in my TBR pile. Because of my love for Dr Quinn, Medicine Woman, I love westerns about lady doctors in the Old West, so this one certainly calls out to me. In 1886, lovely Banner O'Brien overcame every obstacle and won her coveted medical diploma. Still she longed to escape from Oregon...and the nightmares that left her shaking, screaming one man's name. Banner fled to the Washington Territory to accept a position with Dr. Adam Corbin...arrogant, handsome and rumor said, violent. Although Banner respected his skills, she was unnerved by the very nearness of this moody, powerful man, His past was a mystery that would challenge her to her utmost...for Banner wad determined to win Adam Corbin's heart. With his wild heart, Sawyer McKettrick isn't ready to settle down on the Triple M family ranch in Arizona. So he heads to Blue River, Texas, to seek a job as marshal. But in a blinding snowstorm he's injured—and collapses into the arms of a prim and proper lady in calico. The shirtless, bandaged stranger recuperating in teacher Piper St. James's room behind the schoolhouse says he's a McKettrick, but he looks like an outlaw. As they wait out the storm, the handsome loner has Piper remembering long-ago dreams of marriage and motherhood. But for how long is Sawyer willing to call Blue River home? As the gray skies clear, Piper's one holiday wish just might bring two lonely hearts together forever. The sudden death of the town marshal leaves Blue River, Texas, without a lawman…and 25 year old Dara Rose Nolan without a husband. As winter approaches and her meager seamstress income dwindles, she has three options. Yet she won't give up her two young daughters, refuses to join the fallen women of the Bitter Gulch Saloon and can't fathom condemning herself to another loveless marriage. Unfortunately she must decide—soon—because there's a new marshal in town, and she's living under his roof. How about a giveaway? Do you love western romance as I do? Leave a comment with your email address...I'll be giving away a Kindle copy of LLM's story Resurrection. Available as a stand-alone eBook for the first time ever, #1 New York Times bestselling author Linda Lael Miller's charming Western short story about an abandoned bride in search of a love she thought forever lost. In Resurrection, the writer whose “talent knows no bounds” (Rendezvous) travels back to 1880s Montana, where an abandoned bride searches for a love she thought forever lost in a story that makes it easy to see that “the sweetest kind of magic comes from the pen of Linda Lael Miller!” (The Literary Times). I do love a good western romance. There is something about a cowboy who works with his hands that is hot to read about! I have only read LLM newest Big Sky (Swoon Worthy) series but these sound fantastic as well! I love a great western romance. LLM is one of my favorite authors for this. Thanks for the great giveaway. Thanks so much for being a part of Fire and Ice. I grew up in Idaho so I know plenty about cowboys. I need to read some of these books.Thank you for the chance to win! I am adding your link to my Facebook page! 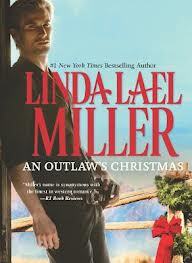 LLM has always been a go to read for me when I am in the mood for a good western. Thank goodness she is such a prolific writer! I haven't read any of her novels yet, but I own two of them. I just haven't gotten to them. I have a very long TBR list but I can't wait to read one of her novels! I love LLM's books! I have read all of the McKettrick's series and related series. I haven't read Resurrection yet but I am looking forward to it. Thanks for the great giveaway!